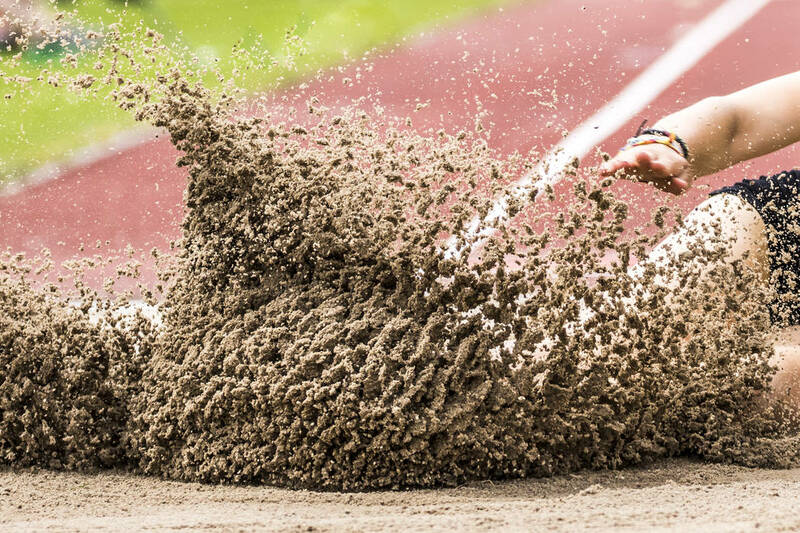 Deijah Cobb won one event and finished second in another, and host Valley won three of the four relays en route to capturing a three-team girls track meet on Wednesday. Cobb won the triple jump with a mark of 28 feet, 4 inches and was second in the long jump to help the Vikings to a team total of 70 points. Boulder City was second with 65, and Democracy Prep was third with 23. Boulder City’s Mary Henderson won the 800-meter run in 2 minutes, 54.4 seconds and the 1,600 in 6:11.5. The Eagles’ Chloe Payne won the 100 hurdles (18.7) and 300 hurdles (59.3) and was second in the triple jump, and teammate Erin Cowley won the discus (93-0) and shot put (27-9). Democracy Prep’s Nevaeh Henderson won the 100 (12.6) and 200 (26.0), and teammate Alijahnae Smith-Coleman won the 400 (1:07.2) and was second in both the 200 and the high jump. At Sierra Vista, Jill McPherson-Kellogg swept the throws to help Bishop Gorman to victory in a three-team meet. McPherson-Kellogg threw the discus 104-8 and had a mark of 33-4 in the shot put, and teammate Emilia Puskas won the 800 in 2:27.15 and ran on the winning 3,200 relay team. Gorman finished with 95 points. Sierra Vista had 70 points, and Desert Oasis had 63. Desert Oasis’ Endya Scott won both the 100 (12.68) and 200 (26.44). Sierra Vista’s Ajanae Cressey won the 300 hurdles (47.22) and was second in the 100 hurdles. At Sunrise Mountain, Makayla Gent and Georgina Avent each won one individual event and helped a relay team to victory as Pahrump Valley captured a four-team meet. Gent won the 800 (2:45), was second in the 1,600 and ran on the winning 3,200 relay team. Avent won the long jump (14-5) and ran on the winning 400 relay team. Pahrump’s Kathryn Daffer won the 3,200 (15:22.3) and was second in the 300 hurdles as the Trojans finished with 128 points. Sunrise Mountain was second with 61. Western was third with 22, and Laughlin was fourth with 21. Sunrise Mountain’s Hope Humes won the 100 (12.5) and 200 (26.9). The Miners’ Aiyana Ramirez won the 100 hurdles (15.4) and 300 hurdles (53.0), and teammate Kapua Pulotu won the shot put (37-3) and discus (120-0).